IdeaSpace 2019 Startup Competition Launch. 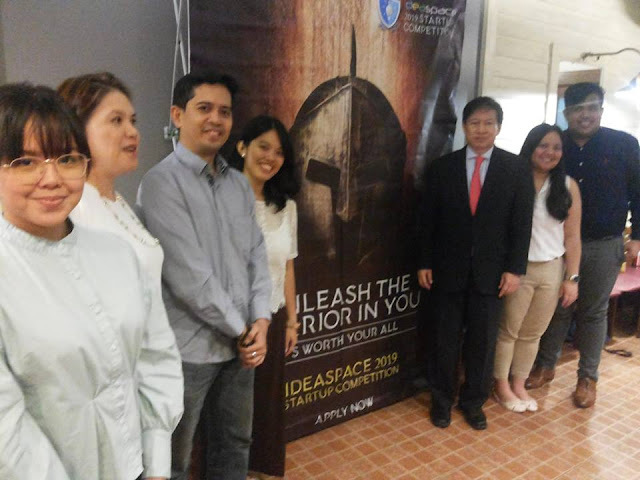 This year’s Startup Competition by IdeaSpace was launched last November 13, 2018. IdeaSpace is also the country ’s leading and longest-running early-stage startup competition in the country and has been holding this competition for the past 6 years. Unlike in the previous years’ competitions, the 2019 IdeaSpace Startup Competition will select 20 startups instead of the previous 10 selected for its accelerator program. What also makes it different this year is that the prize structure has been revised. This is part of the “Pivot” that Ms. Diane Eustaquio, Executive Director of IdeaSpace announced. Going back to the history of the Startup Competitions held before by IdeaSpace, startups selected failed to utilize the fully the Php500,000.00 granted to them by the program. Instead, the startups tried to “economize” on the expenditure and when they needed more funds for their eventual take-off, then that is where it limited their full utilization. Realizing such, this year, the prize structure was changed wherein the 20 selected startups for the acceleration period will receive Php100,000.00 as equity-free operations funding plus support in-kind worth Php500,000. At Demo Day when the top 3 startups will be announced, each startup will receive Php1.0 million equity funding. This will serve as their “runway” according to Ms. Eustaquio. “We are pivoting and making changes to the program to remain relevant and to address the gap that still exists,” said Rene Meily, IdeaSpace President. The Philippine startup environment has 400 active startups as of 2017 out of the 547 founded since 2014. According to Ms. Diane Eustaquio, the cash prizes are not the only benefits that chosen startups will be receiving. It will also include non-cash benefits such as Mentoring by industry experts, free Learning Sessions, Linkages to corporate partners, investor network and strategic partner resources, free office space use, and housing allowances for non-Metro Manila team participants. The submission of entries started November 13, 2018, via www.ideaspacefoundation.org/apply and will be open until January 18, 2019.